Tech Teacher Tidbits: Amazon Winner!! Congratulations, Sara! You're Amazon giftcard is on its way. Enjoy the shopping! Wow! Thank you - I'm so excited! I've also awarded you the Versatile Blogger Award. Come to my page to check it out! I'm giving you this award too! Come check it out!! Uh Oh! I didn't realize that you had been awarded already and I also gave you this award. Just proves you have a really cute blog! I just wanted to let you know that I nominated you for a blog award too. :-) Check out my blog for the details! Thank you for being such an inspiration! Happy blogging! Hello, from your newest follower!! I just started blogging a few days ago, myself and I would love it if you would follow me too :) I really look forward to reading your blog! 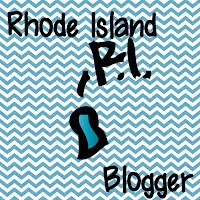 Proud to Blog in RI! Visit Dianne's profile on Pinterest. Welcome To The Computer Lab! Thank You Three Times Over! Graphics by Digital Vintage Dreams, Lovely Tocu, and The School Supply Addict. ©Design by Christi. Created by Dianne Mohler. Powered by Blogger.